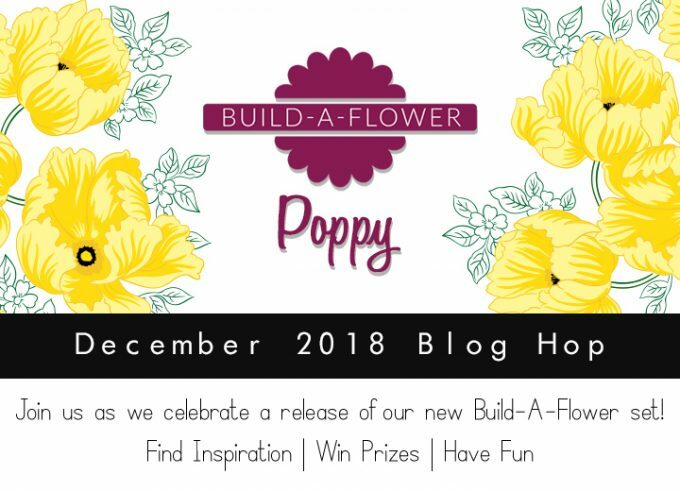 Hello and welcome to Altenew Build-A-Flower: Poppy Release Blog Hop. We’re celebrating the release of the new beautiful blower – Poppy. You probably came from Michelle Murray blog. 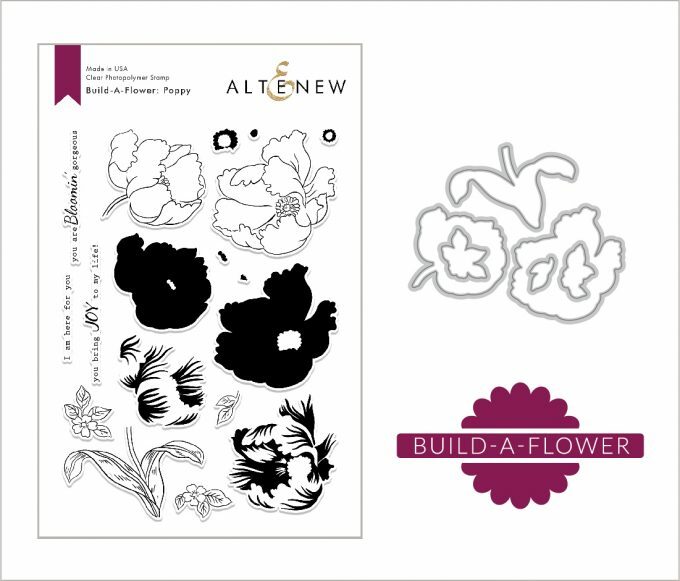 If not – you may consider starting from the beginning at Altenew Card Blog and see what other members of Altenew design team and guest designers have created. You will be definitely inspired by many beautiful projects from talented designers. Also you on each stop you you have a chance to win a prize. I like making flower in not very traditional colors. But Poppy for some reason I always want to see as they are – red. And red I really like using in gray-red-white color combo. For my card today first I made a background bu stamping many circles from the Pattern Play – Circle Stamp Set using gray inks and blending the same ink over. Next I adhered a Leaf Frame die-cut out of a white cardstock. I stamped the poppies in red, then white embossed their outline and die-cut them using the matching dies. I also traced the white die-cut outlines with a black marker. I also stamped a sentiment onto a thin stripe of white cardstock and adhered it below the poppies. I will also randomly choose a winner from comments left on this post and the prize will be $20 gift certificate to Altenew online store. Please leave a comment on this post by 12/5/2018 at 11:59 PM EST for a chance to win. I will announce the winner here in this post on 12/6/2018. The winner of $20 Gift Certificate is Linda R.
The next stop in the blog hop will be amazing Amber Rain Davis. If you got lost, please go back to Altenew Card Blog. What a stunning card and design ! beautiful card. I love the frame! So beautiful! I love your bright red against the darker background. This set is amazing. Love the flowers used with that background die. This so fabulous and amazing. The red on black is just wow. I love the match between the stamps and the die. Great choice! 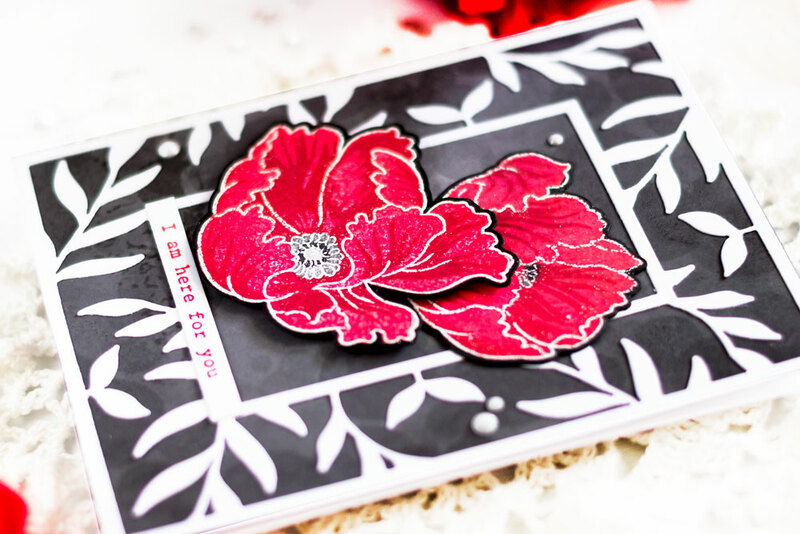 Beautiful card – I love the black and white background – the poppies really pop against it! I love your bold cards & color palettes Svitlana and this one is gorgeous! Love this card. I love poppies in every color! Beautiful card! 🙂 Love the colors you used. I was immediately drawn to your card when I saw all the sample cards. Your card stood out amongst the rest. 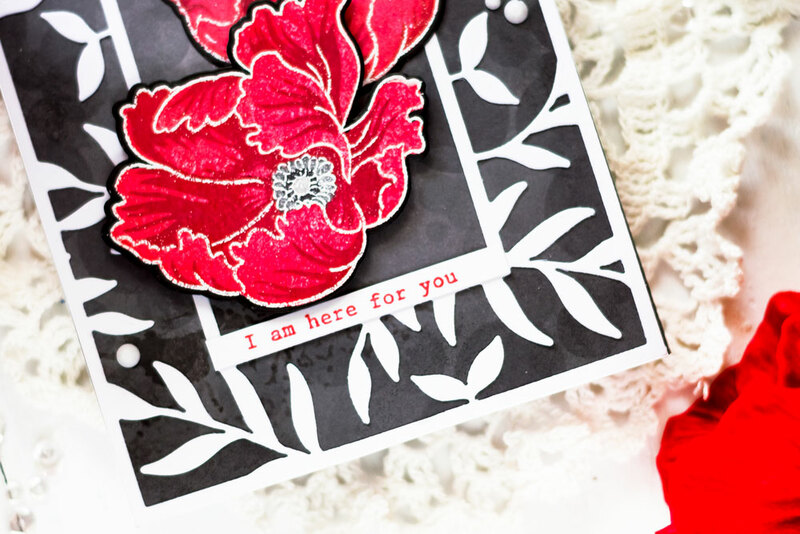 sweet card – the red and black is a great combo!! Altenew’s floral stamps are out of this world – and this new BAF set is stunning! Oh dear! My wish list just got longer. Another lovely chalk board card! So beautiful! Love the black and red together!! I love this new set… poppies are a favorite!!! Your card is gorgeous. This is gorgeous. Your creativity and talent still shine and this stamp set is amazing. Stunning card. Very dramatic. Thanks for showing. Stunning color combos. One of my favorites. I’m a huge fan of black and white and this card is everything! Awesome! What a striking card…BEAUTIFULLY DONE! Love the black and red together! This truly is a beautiful card. Stunning ! Great colour combination, sticking with the traditional bright red has worked so well against the deep grey, fantastic idea. Thank you for sharing. beautiful. love the stamp paired with that die! STUNNING COLORS! I love it on the black! Beautiful card! I love how you have added that sweet sentiment too! Very pretty! Such a fabulous card. Love the black and red. I love how the gray and red just pop together! So beautiful and so vibrant! Wow! I love your card and the set! This is such a beautiful card, Svitlana. Like how you’ve used the leaf frame and black background as the backdrop for these poppies–a great combination. Wow! The poppies look beautiful against the black background! And I love the red sentiment! Stunning! Just beautiful. My favourite colours. Your poppies look spectacular against that black background. The red is beautiful. Very lovely card!! that frame really makes the flower pop! thanks for sharing. Your card is so wonderful!!! 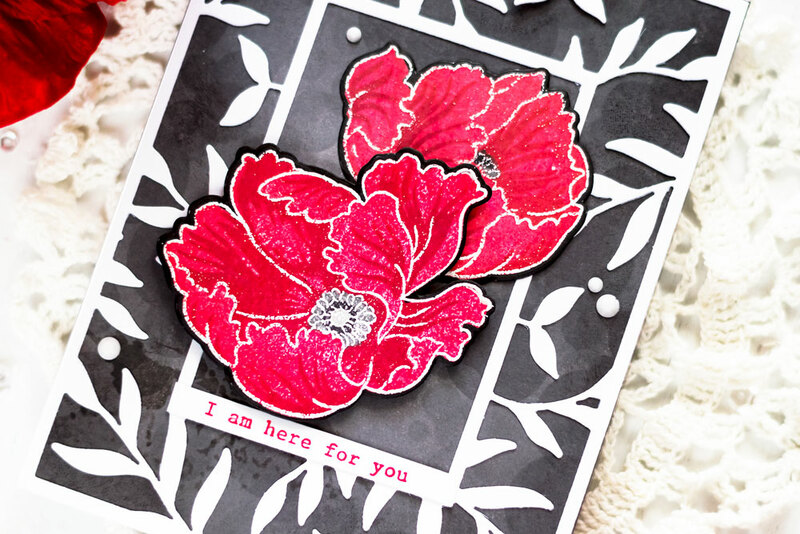 Beautiful card and I love the dark stencil background with these red poppies! Gorgeous job! Beautiful! I love the background die and the flowers look wonderful! Fantastic contrast on your card Svitlana. It’s really eye-catching. I also love the subtlety of the variation of blacks in your background, so much better than just using black cardstock. You inspire me not to take shortcuts but to put in the extra effort as can see the difference it makes when I look at your work. Thank you. Gorgeous card. I love that you added your poppy’s to a black background. The leap right off the card. Thanks for sharing your time and talent with us. I love the background you put the poppies on. I really makes them pop. Black white and red are always so stunning together! Love how you used the new set! Love your bright bold cards. The dark gray-red- white color combination is stunning. I agree poppies should be red! Hi Svitlana. 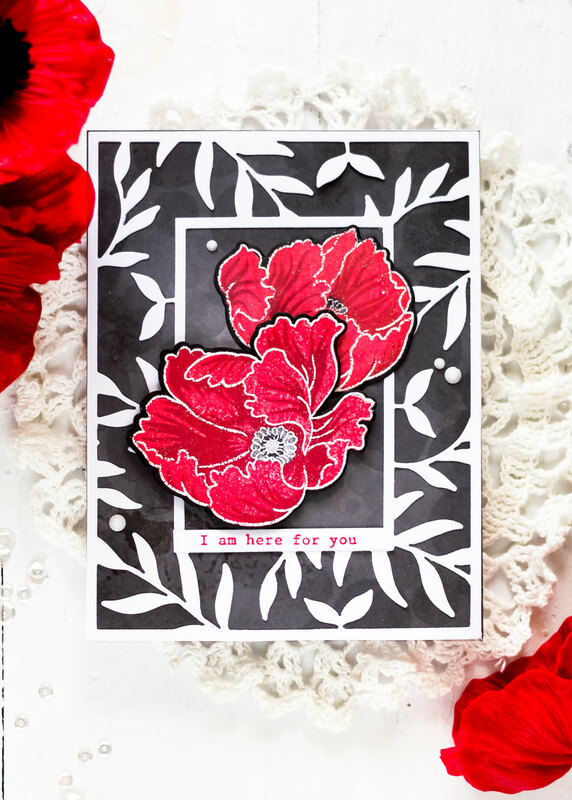 I am crazy about your fantastic card – you used my favourite frame, which I haven’t been able to afford as yet – my favourite colours together, black and white with that fabulous red – and my favourite flower, the poppy. Absolutely stunning. I love all your cards, so your style resonates with me. Thank you so much for sharing with us. Beautiful card!! I also love that color combo. It really makes the poppies pop. Love the contrast of the red flowers against the black and white background. Absolutely stunning! Beautiful! I love the colors and the unique design. Beautiful card, I especially love the design with the leaf frame & pretty poppy! Gorgeous card! Love the red on black. Beautiful card. The red against the black is so elegant. 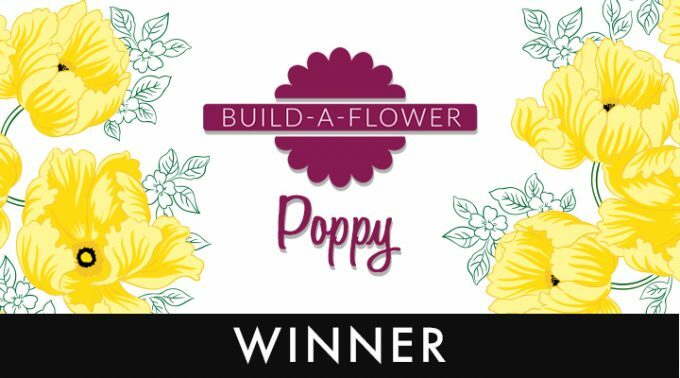 LOVE the gray background you made, it really makes these red poppies stand out with the gorgeous leafy frame, elegant and beautiful card! Just love that black, white and red combination and you know how to do it right. Thanks for sharing this beautiful card. Stunning card !! Loved the background,die cut and the vibrant red poppy over it !! This is gorgeous! Love the colours you have used. And the new BAF set is beautiful! gorgeous card and design!! Loving all the inspiration on this hop using my favorite flower! I love the steps you took to create this card. It is stunning! What a beautiful card! The red poppies really pop against the black and white background! I love this stamp set, poppies are my favorite flower of all time! The gray background make the poppies ‘pop’! So pretty! I love the background die with the poppies. The dark background also really makes the poppies stand out so beautifully. Lovely design!! Wow Svitlana, you always manage to create the most stunning and creative cards. Gorgeous! I love it when a product just goes with your aesthetic, and this one perfectly goes with yours! I like how the grays on your card are dark enough to give a kind of chalkboard or velvety effect on the background. That’s such a nice texture. Thanks for sharing your lovely ideas with us! So bold and striking! That gray background is gorgeous too! This is such an elegant card! I can see a similar design for wedding invitations. The poppies are so perfect in that bright red. I really like the contrast between the red and black. The red poppies just pop on the card. Gorgeous card! Love the red, black & white combo! So pretty with the red poppies against the black and white background. LOVE your layered poppies, ADORE your BOLD and BEAUTIFUL design and colour combo – WOW!